THE revived self-confidence and the home Games energy that so stir Cate Campbell also sum up Australian swimming at large. 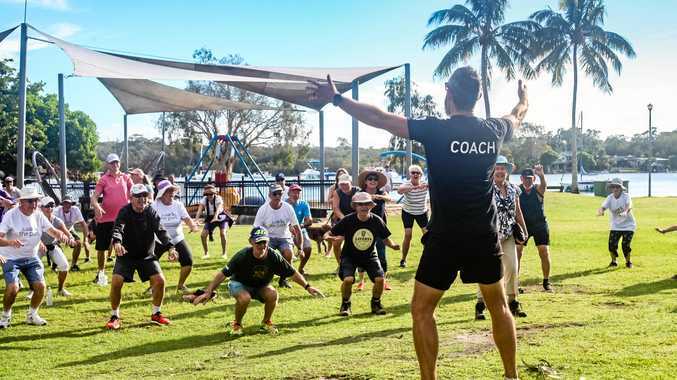 There is huge pressure on our Aussie swimmers because how they perform really does set the tone for our entire Commonwealth Games team of more than 470 athletes. You can slip through a year like 2017 with a single gold medal from the World Championships in Budapest with the public not taking too much heed of a below-par result. Not this year with a home Games. On the Gold Coast. In the heartbeat state for swimming in this country. With the pool in the spotlight from day one. The eyes of Australia and the swimming world will be watching on the first finals night (April 5) and the Dolphins need to step up. In a dream scenario, Ariarne Titmus (200m freestyle), Olympic champion Mack Horton (400m freestyle) and the 4x100m freestyle relay women will make it a night to remember. Having mentioned the expectations, there is nothing like a rare home crowd to lift you to meet them. I'll never forget the noise at the pool during the Sydney Olympics in 2000 because there is almost an energy transference to you in the water. The noise of a home Games crowd really does go right through you and it's yours to harness and use. Maybe it was my mental state during races but even when fans in the stands were not cheering and yelling for me I thought they were. I couldn't be more impressed with how Cate Campbell has handled herself since her disappointment at the Rio Olympics when she missed a medal in the 100m freestyle. Time off to freshen up and experience a world away from swimming was just what she needed. I sensed a renewed self-confidence in her capabilities at the recent Games trials and her leadership and perspective is going to be significant for the swim team. Cate swam a bad race in the Rio final. She didn't become a bad swimmer. She absolutely nailed her relay gold medal swim and her heat and semi-final of the 100m freestyle in Rio, so being the public face of the swim team didn't weigh her down there. 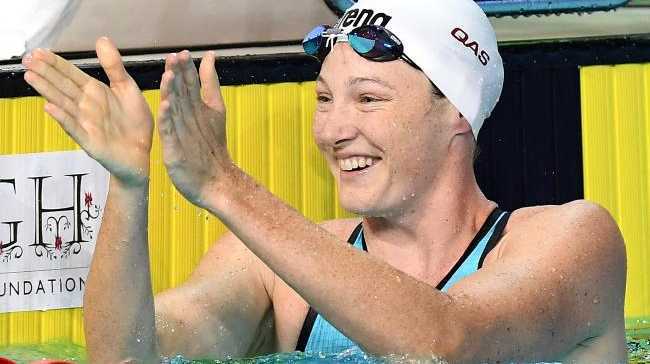 Big meets are about racing and Cate will relish the prospect of redemption on the Gold Coast against Canada's Olympic 100m champion, Penny Oleksiak. Cate's first big chance on the Gold Coast will be the relay on the opening night. Good relays really do lift every swimmer because it is a whole-of-team opportunity. The sheer joy of a winning relay swim could really be the springboard to a bag of gold medals for Cate at the Games. Don't let anyone tell you "it's only the Commonwealth Games". Australia has a rich Games history and there is no better way to experience a major multi-sport event before the plunge at the Olympics. Just watch the correlation between the very best at the Gold Coast and the Tokyo Olympics in 2020. Obviously I have a soft spot for distance swimmers and a soft spot for her game plan - get out to a lead and impose yourself on the race from the start. You can see her good attitude as well and Titmus is one of those swimmers on a career upswing for these Games. I wouldn't be surprised to see massive seconds of improvement and she is already posting world-class times. She's ready to take the jump. Mack did an excellent job to win the 400m at the trials, yet he didn't look at all comfortable in the 1500m. 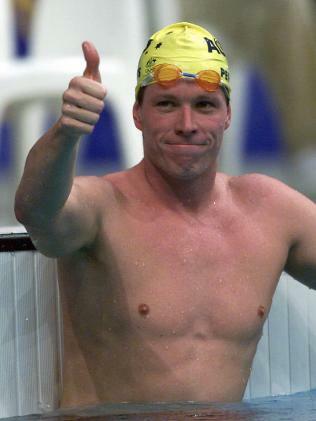 I know how much I gained over a long period in the 1500m competing with the high standards of Glen Housman, Grant Hackett and Daniel Kowalski in the same squad. Mack now has that benefit with Jack McLoughlin, a 14min 48sec man, but whether he can get over the 1500m specialist on the Gold Coast has the makings of a fabulous race. I've already mentioned Cate at length. Her trials form was really impressive and she has qualified for the Games in a bunch of events. She'll be favourite for a swag of medals, but the one race closest to her competitive heart is clearly the 100m freestyle. It's the perfect scenario to have a shot at the Olympic champion, Canada's Penny Oleksiak. Also watch for fast-rising countrywoman Taylor Ruck. He gave himself a ridiculous program at the trials yet won the 400m individual medley and placed in the 50m backstroke with just a 10-minute break between finals. He has an ironman program of five individual swims at the Games and the attitude to take it on impresses me. 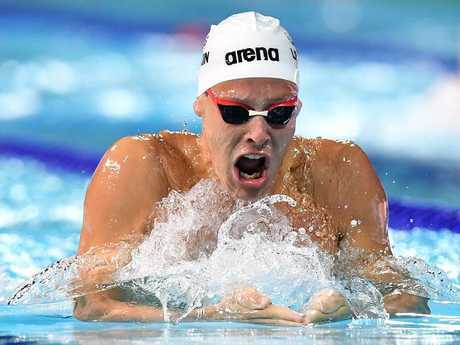 He has two medley swims but, as a dual world champion from 2015, the two backstroke events are still his top targets. It's a home Games but a home pool Games for Cam McEvoy. It should be a terrific 100m freestyle final with McEvoy up against Olympic champion Kyle Chalmers. Cam is a real role model for swimming - humble, well-spoken and successful. He is really considered with the way he approaches things and I'm sure he's worked out the pitfalls to being too analytical.